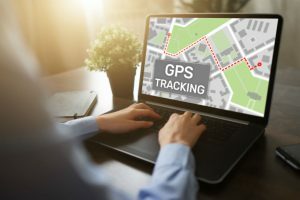 Ever since the GPS first appeared in the scene back in the ‘60s, it has helped improve the use of vehicles, fitness trackers, smartphones, and more. One of its handy but less known application is the GPS speedometer. 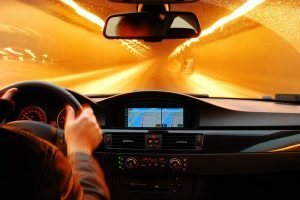 Here, we’ll look at three options in hopes to find the best GPS speedometer. 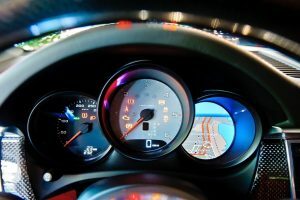 A GPS speedometer, which is also called a positional speedometer, give accurate information than traditional speedometers. It determines speed based on the distance of the vehicle or any object moving for a particular length of time. It runs non-stop calculations and gives regular updates at any given time. 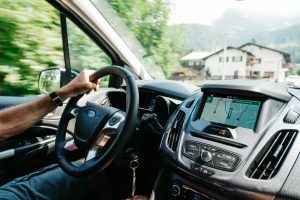 Although it is easy to shift from using a traditional speedometer to a GPS speedometer, you need to consider important features when buying a good one. Among these features are the display, ease of use, compatibility, power consumption, and more. 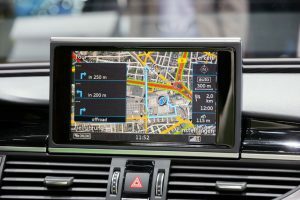 To help you determine the right GPS speedometer to match your needs and preferences, here are the top three picks of today. 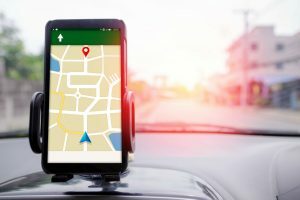 GPS speedometers are commonly used in cars to provide not only the speed and distance traveled but also overspeeding and fatigue driving alarm. However, not all GPS speedometers have these features and are compatible with any car. 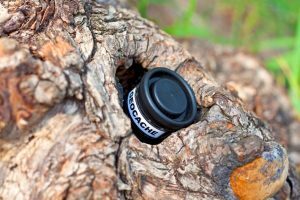 Here’s one product that has all of these features and more—the LeaningTech GPS HUD Speedometer. 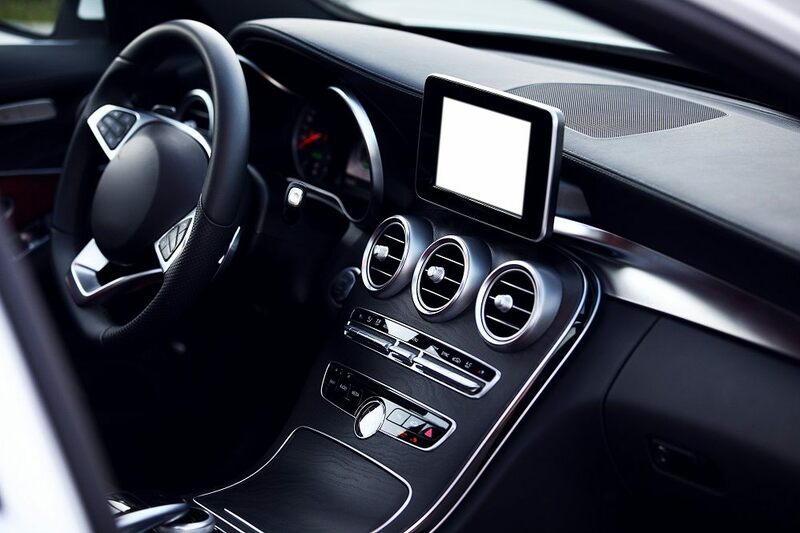 The LeaningTech Universal GPS Speedometer is equipped with a HUD signal receiving module, which calculates driving speed and delivers real-time, accurate data. The speed, distance, and driving time come in either mph or kph, which can be set via a simple push of a button. For your convenience, this device comes with a non-slip mat for secure installation, a user manual, a USB cable, and a reflecting sticker. 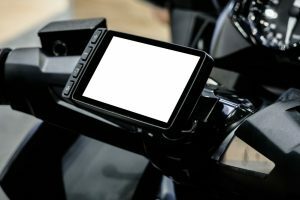 The display modes come in three settings: normal mode, heads up/windscreen display, or upside-down. Each one fits various positions inside the car, making it easy and convenient to install the device anywhere you want to. What’s more, the display brightness adjusts automatically for day and night driving. Powered by a DC five-voltage input or a DC 50 to 120mAh input current, this speedometer runs continuously. Alternatively, a power bank provision is available for more power options. 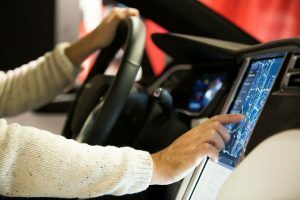 It doesn’t require a wired connection to the vehicle’s speed signal, and it is designed to be compatible with all kinds of vehicles. 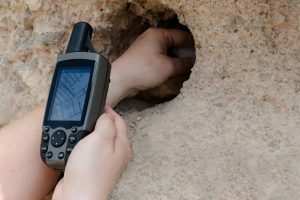 Since there is no GPS signal indoors, this device only works outdoors. It sends data every one to five minutes—weather permitting, that is. Bad weather conditions will most probably affect its positioning time. What’s great is that you won’t have to worry about it malfunctioning during extreme weather conditions because it functions even when it’s -30 C or 70 C outside. However, you can expect a slight speed deviation at around two percent. Aside from being a GPS speedometer, this device also has additional features. It is equipped with both an overspeeding alarm as well as a fatigue driving alarm, which both protect the driver and his passengers from road accidents. Another universal GPS speedometer that does its job well is the Timprove T600. Although quite expensive, it has more features and offers more functionalities than its counterparts. Do you think this might be the best speedometer with GPS on the market? Let’s find out! This GPS speedometer from Timprove boasts a reliable system that is compatible with any brand or model of vehicle. 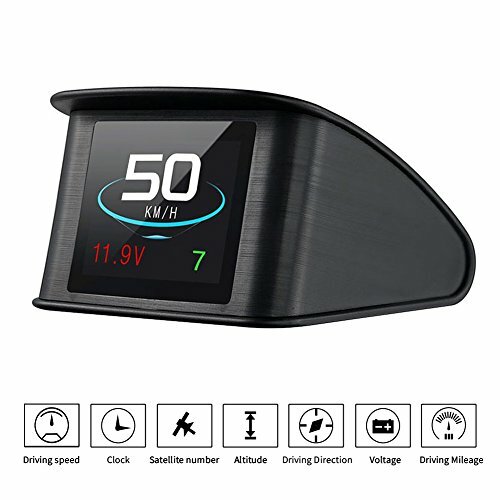 It is a multifunctional GPS speedometer that can be used for brake performance testing, speed-up testing, and other vehicle data reading. Among the bits of information that the Timprove T600 shows are driving time, driving distance, direction, voltage, satellite time and number, speed in either kph or mph, low-voltage alarm, and over-speed alarm. Combined, these deliver rich content that results in a more detailed drive. The Timprove T600 features a high-resolution, 2.2-inch LCD screen with a 30-degree viewing angle. Paired with a multi-color option, the display is comfortable and easy to read whatever time of day you are driving. What’s more, this device is designed to be easy to install. It also comes with a 12-volt power cord that is enough to provide sufficient power to run the device. If you are looking for a GPS speedometer that is also compatible with off-road vehicles, the Samdo GPS Speedometer is a pretty smart choice. 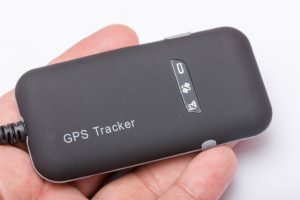 It has numerous features that are quite more advanced than other GPS speedometers but which make it more expensive too. Unlike other GPS speedometers, the mileage in this device is not resettable. This means that it keeps adding the miles just as on a car. 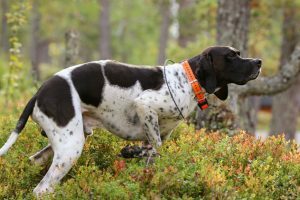 Nevertheless, it gets the job done and offers add-ons that you won’t get from other GPS speedometers. The signal of the Samdo 85mm GPS speedometer emanates directly from the GPS satellite signal receiver that provides high precision, short start-up time, and quick location data. The speed ranges from zero to 250 kph or zero to 160 mph. Again, the Samdo GPS Speedometer is compatible with any model or brand of cars. 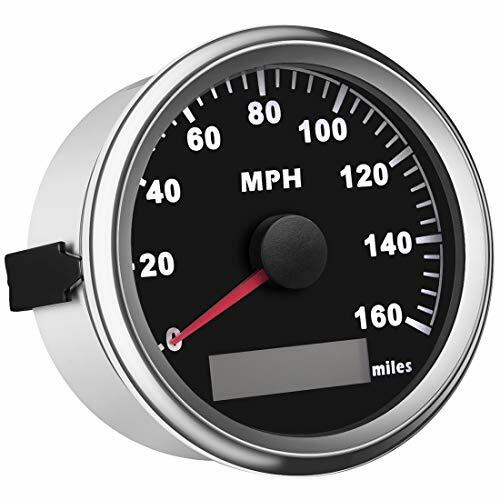 As a universal odometer, it also works well with boats, ATVs, and other off-road vehicles. The Samdo GPS Speedometer has a well-built, solid construction that can withstand various road pavements. Unlike its counterparts, this unit has an IP67 waterproof construction. This means that it doesn’t get damaged with splashes of rain or specks of dust. It also has an anti-fogging feature, which helps improve visibility on cold weather conditions. The best GPS speedometer is reliable when it comes to providing accurate data. It is also easy to read display and has a long battery life. These important features are all found in the units reviewed above. However, there is one product that stood out—the LeaningTech GPS Speedometer. This GPS speedometer is the most affordable among the three. Although it is the cheapest, it comes with features that are just enough to give you the driving data you need. 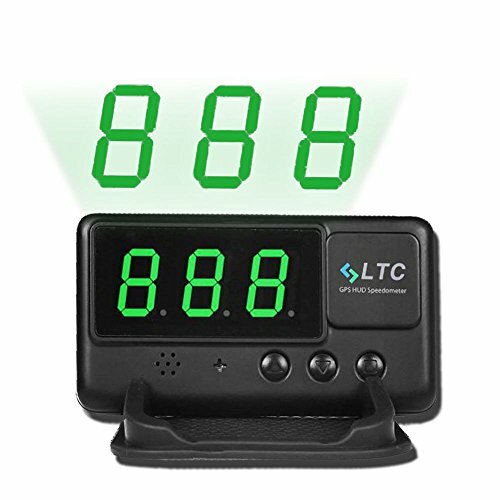 It is easy to assemble, has three viewing display modes, has a comfortable display, and most importantly, it calculates accurate driving time, distance, and other data.